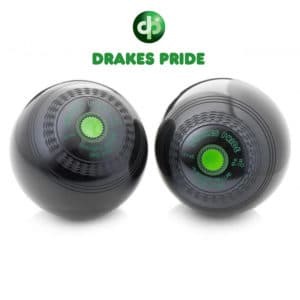 Choose from a wide range of densities, colours and mounts from our popular selection of crown green bowls. 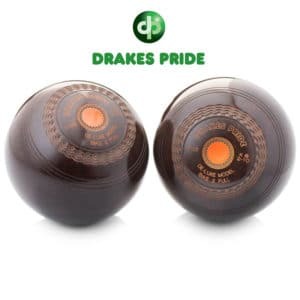 From well known favourites like the Drake’s Pride Richmond and Grippa bowls to the lesser known but excellent value for money Tornado Line range from Metrolux. 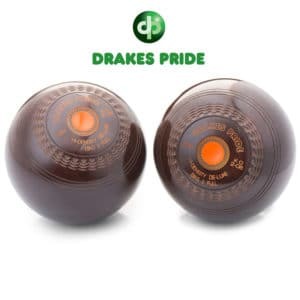 Below you will find answers to some of the common questions we're asked when it comes to choosing and buying crown green bowls. If you're a beginner or new to the sport it can be a little daunting getting your head around the various terms associated with the game, what density you should get, what's the correct weight? Can you use coloured bowls? etc. Hopefully our FAQ helps to provide you with some answers to these common crown green queries, but if you're still not sure or have a question about one of our products, please don't hesitate to contact us, we're here to help! Where is my nearest crown green bowls club? To find your nearest crown green bowling club use our Club Finder tool. Typically, you'll find the crown green game more popular in the North of England, but there are ofcourse clubs dotted around the south too. What are standard density bowls? We usually recommend new bowlers opt for a standard density bowl when learning to play (unless physical limitations are a factor). As a general rule, standard density bowls are good general purpose bowls. What that means is they perform equally well on fast greens as on slow. Where a heavy density bowl may out perform on a fast green, and low density on a slow green. Some bowlers find it optimum to use a a combination of densities through the bowling season. What are high density bowls? A higher density bowl is manufactured in a way that produces a bowl that is heavier for its physical size than a standard composition. To give you an example, a high density bowl that weighs 2lb 8oz is the same physical size as a standard density bowl that weighs 2lb 6oz. 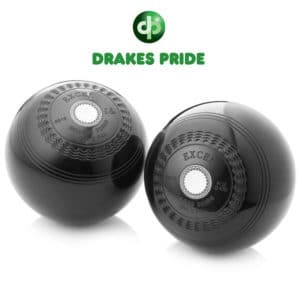 This size/weight variation can be of benefit to a crown green bowler who is playing on a fast green, as a higher density bowl will tend to pull up quicker than a standard bowl - the flip side however is that they can tend to pull up short on slower greens, therefore requiring more effort to send. Higher density can also be extremely useful for bowlers who are perhaps struggling with hand problems and grip is becoming an issue. In that case using a high density bowl would enable the bowler to maintain the bowl weight whilst increasing their ability to hold and control the bowl due to its smaller physical size. What are low density bowls? A low density is basically the opposite of a high density bowl. In contrast to the high density, a low density bowl is manufactured from slightly lighter material than what is used to make the standard bowl. The result of this manufacturing process leaves us with a bowl that is the same approximate physical size as a standard 2lb 10oz bowl, yet only weighs 2lb 8oz. As a result of this shift in weight/size, low density bowls are better suited to heavier, slow greens which are most common early in the season or on surfaces that have been affected by rain etc. Due to the lightness of the bowl they tend to travel the surface more easily and tend to run longer on these types of surfaces when compared with standard and especially high density bowls. Obviously, on fast greens they will tend to overrun somewhat. Such is the trade off when choosing a low or high density bowl. For a beginner or someone new to the game of crown green, we would recommend they started with a standard density bowl and really got a good feel for the bowl. Crown green bowls sizes are based on the weight of the bowl and depending on brand range from 2lb 0oz right up to 3lb, usually going up in 2oz increments (but 9oz bowls are fairly common). When choosing which size bowl to buy, the general consensus is that you should choose the heaviest bowl that you can comfortably handle and bowl with. A heavier bowl will generally travel further, but heavier bowls are ofcourse a larger bowl to grip and hold comfortably (this is where density of the bowl can factor in). Being able to confidently grip and handle the bowl comfortable should be the main factor when selecting a new set of bowls. 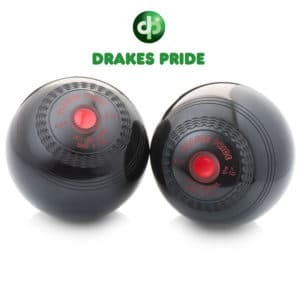 We would recommend you opt for the heaviest bowl you can, but don't compromise on your ability to grip the ball well for the sake of 2oz in weight. 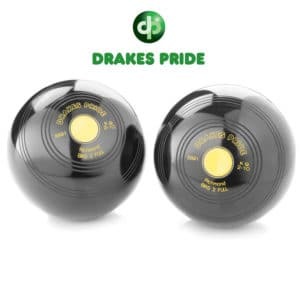 High density bowls help greatly in bridging ths gap between bowls grip and bowls weight, and for more experienced bowls players are a great option. However, if you're new to the game we would always recommend you got familiar with playing with a standard density first. What does 2 full bias mean? All modern crown green bowls are now manufactured with a 2-full bias - the same bias as the bias as the jack. In previous years crown green bowls were manufactured with a different bias of 2 1/4 or 2 1/2. This is still commonly found when looking for second-hand bowls and something worth bearing in mind if you do so. The bias is simply the natural arc or line that the bowl will travel when bowled along the green. A 2-full bias is now standard for the crown green game, and standard amongst the current manufacturers of crown green bowls. Do I need a jack? In most case, yes, if you're buying a set of crown green bowls it would be a good idea to also grab a jack too. It will enable you to practice your game alone or as part of a social group. If however you only play at your club and they supply the jacks (as quite a few do), then you can likely avoid having to purchase a jack of your own. Here's a selection of links to other sections of the website that focuses on crown green. Hopefully you find them useful!